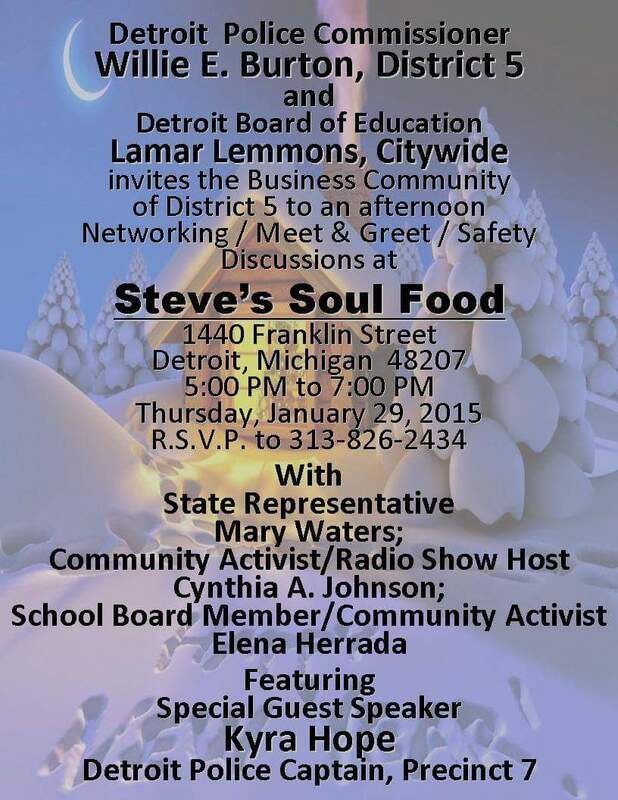 Lamar Lemmons and I invite concerned Detroiters to a Meet & Greet this Thursday at 5:00 PM. See the flyer posted here for details. This entry was posted in Events and tagged City of Detroit. Bookmark the permalink.